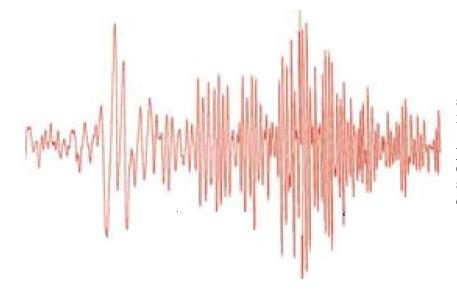 Sciblogs | Earthquake prediction: Is GPS our best bet? Earthquake prediction: Is GPS our best bet? The devastation following the 8.9M earthquake in Japan and, closer to home, last month’s lethal quake in Christchurch has many asking what science is actually doing to find a way of forewarning of major earthquakes. Given the loss of life in high magnitude earthquakes and the resulting tsunamis, it is indeed something that ought to be taken seriously and that doesn’t mean giving Ken Ring and his moon quake theories the time of day. There’s a lot going on in this area of science, including efforts to drill down into major faults – including our own Alpine Fault, to give us a better understanding of how they work. Previously I’ve written about research in Nature that suggests the San Andreas faultline was weakened by the Boxing Day 2004 9.3 magnitude quake off Sumatra 8000km away, thus linking two distant faults. Research supporting that theory however, is fairly sparse. More promising perhaps, is the work being done particularly in Japan with GPS sensors that can detect minute movements in the Earth’s crust and therefore offer “pre-signals” of the occurrence and location of the epicentre of an earthquake. There is some evidence to suggest this is possible, however predicting the timing of an earthquake is far more difficult rendering the exercise fruitless so far when it comes to trying to prevent loss of life. Recent results from GEONET do not necessarily support an optimistic view for detecting pre-seismic signals. On September 26, 2003, the Tokachi-Oki earthquake (M8.0) occurred. This earthquake was the first interplate M8 event around the Japanese Islands since GEONET has been operated. Irwan et al. (2004) analyzed both the 30-second and 1 Hz sampled GEONET data to investigate crustal deformation around the onset time of the earthquake. They failed to identify any precursory signal of the earthquake. We have to conclude that it was impossible to issue an earthquake warning based on GPS data in case of this event. Moreover, there is no report of pre-seismic signal detected from either the continuous monitoring of extensometers or borehole tiltmeters. 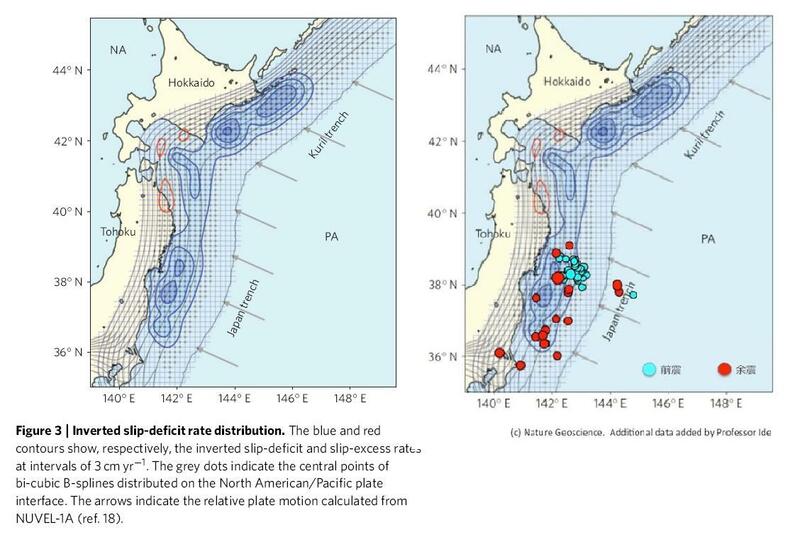 A 2009 paper in Nature Geoscience by Japanese researchers focused in particular on Japan’s Northeast, the area the quake occurred last night. The scientists write that there are two extreme views on earthquake prediction – one one hand, that earthquakes are an “unstable phenomenon occurring in a nonlinear complex system” ie: random and impossible to accurately predict in terms of timing and on the other hand, they are a “stress accumulation release process driven by relative plate motion”, in which case it may be possible to figure out when faults will slip. For large interplate earthquakes, given the past fault-slip history in and around source regions, we can compute the spatiotemporal change in the stress distribution, and so predict the next-step seismic/aseismic fault-slip motion there through physics-based computer simulations. Then, the problem is how to precisely estimate the past fault-slip history from observed seismic and geodetic data. That last bit helps indicate the amount of time until the the next earthquake is due. “Today’s earthquake’s distribution is in good agreement with the slip-deficit rate data* collected by Nagoya University Associate Professor Hashimoto** and her team in 2009 using GPS. I have used the original plot published by Prof Hashimoto and plotted data from today’s earthquake on top of it (blue indicates foreshocks and red for aftershocks). By looking at today’s data and the data plotted by Prof Hashimoto, you can see the consistency in distortion. So it would appear that the GPS sensors detecting the slip deficit and slip-excess rates have accurately identified where the earthquake and aftershocks were to later strike. The problem of course is that the data didn’t indicate when the fault would slip triggering the earthquake and the resulting tsunami. No warning was given. There’s something powerful in the GPS data for science then, but sadly, still nothing that can give any accurate indication of when a major seismic event will occur, the crucial component to avoiding the devastating impact of a high magnitude earthquake. * Hashimoto, C., Noda, A., Sagiya, T., and Matsu’ura, M., Interplate seismogenic zones along the Kuril-Japan trench inferred from GPS data inversion, Nature Geoscience, 2, 141-144, 2009. The problem of course is that the data didnâ€™t indicate when the fault would slip triggering the earthquake and the resulting tsunami. No warning was given. The horizontal coordinates of both the primary and backup GPS sensors do not vary much (few cm) but the altitude shows a kind of breathing with a maximum in August, 2010, then a slow drop by 3 meters until the end of February 2011. And then an abrupt change of slope and another 3 meters drop in the 10 days before the quake. It is really impressive and very difficult to believe that there was no signal there.